Evan Williams, Elijah Craig, Jim Beam, Pappy Van Winkle, JW Dant, JTS Brown, Basil Hayden. Who are/were these guys? Ever wonder? Well wonder no more…I’ve done, and am still researching, and if you would help me out, and if you have anything to add please put in the comments, or email me, and I’ll add it to their biography’s on here. It’s a great and fun, and educational work in progress don’t you think? Blanton’s – Col. Albert Blanton – Born on an adjacent farm, Blanton joined what was then George T. Stagg Distillery as an office boy at the age of 16. 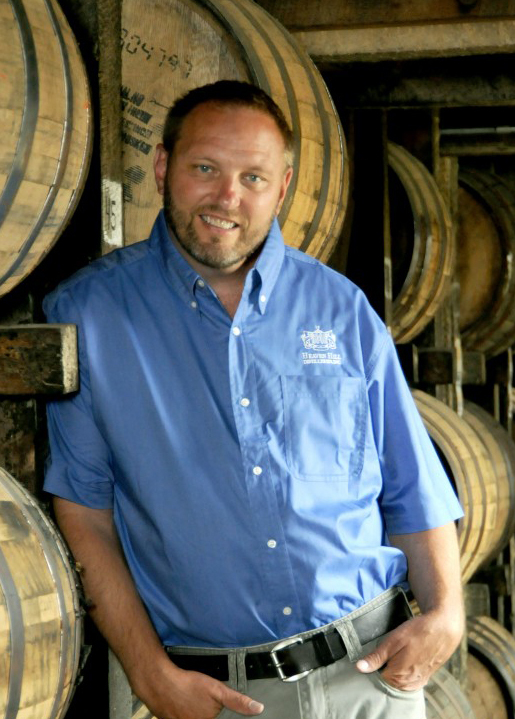 Over the next several years, Blanton was promoted and given experience in every department at the Distillery. In 1921, Col. Blanton was promoted to president of the George T. Stagg Bourbon Distillery. Col. Blanton kept the Distillery alive through Prohibition, obtaining a special government license to produce “medicinal whiskey.” It was one of only four distilleries in the country to obtain this special permission. After a disastrous flood in 1937, Col. Blanton had the Distillery back to normal operation in just 24 hours. He was also responsible for much of the aesthetic growth of the Distillery throughout his tenure, building a clubhouse and several gardens as well as his own personal property, the Stony Point mansion that overlooks the Distilling grounds. Bulleit – Augustus Bulleit – Details are sketchy about the history of Augustus Bulleit. He lived briefly in Louisville, KY, and then moved to Indiana, and was either (or all) a miller, a tavern owner, or in the lumber business. Tom Bulleit says that his modern whiskey is based off Augustus’ recipe of 65% corn and 35% rye (no barley). Regardless in 1860 he got on a Kentucky Boat (flat bed type raft) and was never heard from again…it is presumed that he died in transit. Evan Williams – Kentucky’s first licensed distiller. Located at 5th and Main in Louisville, KY, Williams was also a city councilman, and had many complaints about the smell and slop of the stillage…but when he brought whiskey to the meetings, he rarely got fined or slapped on the wrist about it. Like a lot of people in Kentucky, Evan Williams came from Virginia. Kentucky was actually part of Virginia until 1792 when we became the 15th state. When he moved to Kentucky he became Louisville’s first harbor master here at this active port, since the Falls of the Ohio made it necessary to stop here. Elijah Craig – Born in Orange County, VA, Craig was ordained a Baptist minister in 1771. Arrested for preaching without a license or episcipal ordiantion several times or for disturbing the peace by his preaching, so you could say the good reverand was out of the ordinary to say the least. In 1781, his brother (also a preacher) led an exodus of 600 members of what they called the “Traveling Church” to The Kentucky Territory of Virginia and Elijah followed him there through the Cumberland Gap a couple years after, and bought 1,000 acres of land in Fayette County Virginia, and preached at the Great Crossing Church which is still active today in Georgetown, KY (a community Craig himself helped design and lay out). He founded the first classical school in Kentucky in 1787, and then later donated the land for Georgetown College, which still exists and operates today. Story goes that Elijah Criag opened a distillery in 1789, and a barn almost burned down that held some empty whiskey barrels. He salvaged the barrels he was going to ship his whiskey in, and they were burned just on the inside because the heads were not on them, and he used them anyway. They imparted color/flavor and his customers raved and he kept doing it since then. Old Grand Dad and Basil Hayden – Basil Hayden, Sr: – was a Maryland Catholic that led a group of twenty-five Catholic families from Maryland into what is now Nelson County, Kentucky (near Bardstown) in 1785.This area is home to many of the famous bourbon brands, including Jim Beam. There Hayden donated the land for the first Catholic church west of the Alleghenies and the first Catholic church in what is now the Commonwealth of Kentucky. Around 1885, Hayden’s grandson Raymond B. Hayden founded a distillery in Nelson County and named his label “Old Grand-Dad” in honor of his grandfather. Raymond’s mother, Polly, was a member of the Dant family by the way. The picture on the bottle was copied from a rendering of Basil Sr.’s likeness. When Beam Industries introduced their “small batch” collection, among the four was “Basil Hayden’s”, which the company says uses a mash similar to that originally utilized by Hayden in 1788. Old Crow – Dr. James Crow was a Scottish chemist and physician that arrived in the US in 1820 and worked for a couple distilleries until Oscar Pepper made the best move of his career, and probably the bourbon world by hiring Dr. Crow in 1838 to be his master distiller. Dr. Crow didn’t “run on a log” like J.W. Dant was doing in Fairfield, KY, or use copper pot stills like everyone else. He used the newly invented Coffey Still that was a column still and brought the white dog off the still at a consistent strength. He checked that strength with a hydrometer…most used to shake the jar and see the beads and guess the proof, or use gunpowder and a match to prove it. He used litmus paper and a saccharimeter to check acid and sugar levels. 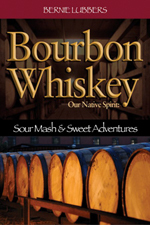 He didn’t invent the “sour mash” process” but employed it on a daily basis to give the whiskey consistency and help in the mash tubs with pH levels and the like. His Old Crow bourbon was the most popular of it’s era enjoyed by U.S. Grant, Daniel Webster, Andrew Jackson, and Henry Clay. His bourbon was known as red whiskey, or red liquor, or red eye since he aged all of it in charred barrels. Because of it’s popularity, you can be sure his competitors used those same types of barrels, and so you can see Dr. Crow’s influence on the Silver Age of bourbon, and now in to the Golden Age. Ezra Brooks – I can’t find a lot of information about Ezra Brooks (and I even asked Jeb Medley from the Medley Distillery) but Ezra Brooks was a pioneer in the early shaping of Kentucky and was a passionate whiskey man who helped push through the Bottled In Bond Act of 1897 along with Col. Edmund H. Taylor. J.W. Dant – . Joseph Washington Dant was a blacksmith and only 16 when he opened his distillery in 1836. This hard working boy had a taste for bourbon, and this wasn’t odd for back in the tough world of the 1800’s. Dant used the “running on a log” still method instead of using copper stills. This involves hollowing out a section of a tree trunk and running a copper pipe through it and was old school even for then. He fathered 10 children and his son John led the distillery in to the 1900’s. JTS Brown – John Thompson Street Brown opened his distillery in 1870, along with his 2 sons and his half brother Geo. Garvin Brown. It was George Garvin Brown who also started Old Forester. If you’re a fan of classic movies you’ll recall this is the brand that Fast Eddie Felson (Paul Newman) drank when he played Minnesota Fats in “The Hustler”. Old Fitzgerald – John E. Fitzgerald: Old Fitzgerald Distillery started up in 1870. John E. Fitzgerald was not a distiller, but a treasury agent at the old W.L. Weller distillery, and he was known have good taste. He also had the keys to the rack house, and would help himself to the best tasting of the wheated W.L. Weller barrels, and those special barrels became known simply as “Fitzgerald Barrels”. The legend was so strong they started their own distillery in 1870 and sold on steamships, trains, and fine gentleman’s clubs. Later the brand was acquired by the famed Pappy Van Winkle at Stizel-Weller Distillery and made it one of the most popular bourbons in the 1950’s and 60’s. Still wheated today and now out of Heaven Hill by Craig and Parker Beam, and his name appears on the Larceny Bourbon Label since it’s out of the same distillery and mash bill. Old Forester –Dr. William Forrester: “Old Fo” is the flagship brand of Brown-Forman, named after the Civil War surgeon Dr. William Forrester (yes with two r’s) and was the first bourbon to be labeled and bottled but only as a medicinal bourbon since Geo. Garvin Brown was a pharmaceutical salesman. It’s been sold at a 100 proof for a while now, but they’ve just applied to make a B.I.B., and that’s exciting! Brown’s good friend, Dr. Forrester, told him that doctors couldn’t trust bulk whiskey, and he was inspirted to buy the best bourbon he could, and sell it to doctors and he put his good friends name on the label, and introduced Old Forrester in 1870. After the good doctor passed away, they struck one of the “r”s off and it’s been Old Forester ever since. The only bourbon to be produced before, during, and after Prohibition by the same company. Jim Beam – Col. James Beauregard Beam was born near the end of the Civil War in 1864. He took over the Old Tub distillery (later to become the Jim Beam Distillery) before Prohibition. He decided not to apply for a license to sell bourbon medicinally, and so during Prohibition he went in to the citrus farming business in Floriday, and rock quarry in Kentucky. He was not successful in those ventures and folks in town said Col. Beam was only good at making and selling whiskey. They joked that if Jim Beam decided to open a funeral home in town, everyone in Bardstown would suddenly stop dying! When Prohibition ended in 1934, Col. Beam at the age of 70 went in to business with a couple businessmen from Chicago and bought the old Murhphy Barber distillery and insisted on the same DSP # as he had before (Distilled Spirits Producer) and they started making whiskey again under the Old Tub and Pebble Ford labels. After he passed away in 1947, his son, T. Jeremiah Beam in the 1950’s launched the brand Jim Beam to honor his father, and that brand has become the #1 selling bourbon in the world today. T.W. Samuels – This is the bourbon that dates back to 1844 when T.W. Samuels opened his distillery in Deatsville, KY. Known for it’s unique stair step designed rack houses, giving a greater chimney effect forcing more heat to the top floors. T.W. Samuels Grandson went on to start a little bourbon called Maker’s Mark. But this is a rye bourbon from way back in the day. Henry McKenna – Henry McKenna was born in the county Derry in 1819, and came to Kentucky in Nelson County in 1838. McKenna was a hard working and simple man. He cut turnpikes in Kentucky and also had a farm, and it made sense to open a distillery on that farm in Fairfield, and he opened a flour mill and in 1855. Here they could use the excess grains of his neighbors (instead of $, farmers would let McKenna take a percentage of their milled grains as payment) to make wheat whiskey and corn whiskey. He wrote his friend and master distiller also from Country Derry, Patrick Sweeny, to come to Kentucky and run the distillery. In 1880 McKenna opens an office in Louisville Kentucky, and in 1883 builds a new distillery with a 3 barrel per day capacity! Henry never built a large home on his farm, so when he went on an extended visit back to Ireland, his sons built him a wonderful home on his farm. When he returned, he refused to live in it, until a year or more later! Henry passed away in 1893 and the business is taken over by his sons, Daniel, James, and Stafford. George T. Stagg – was born December 19, 1835, in Garrard County, Kentucky. While little is known of his early years, the impact his adult life had on the bourbon industry was quite impressive. Working as a whiskey salesman in St. Louis, he had the good fortune of teaming up with bourbon icon E.H. Taylor, Jr. Together they built the most dominant American distillery of the 19th century. A leading industry expert at the time declared the Distillery “one plus ultra of its class,” the best of the best. Stagg’s salesmanship and financial acumen helped build the Distillery into one of the world’s leading bourbon producers. In 1904, the Distillery was rechristened to bear Stagg’s name, a title that was maintained for nearly a century.Col. Edmund H. Taylor – As a descendant of two U.S. presidents, James Madison and Zachary Taylor, you might say that E.H. Taylor, Jr. had leadership and ambition in his blood. While Madison went down in history as the “Father of the Constitution,” E.H. Taylor, Jr. sealed his own prestigious legacy as the “Father of the Modern Bourbon Industry.”Taylor is celebrated for the countless innovations he contributed to the bourbon industry in his time. His first involvement in the industry came as a banker, aiding in the organization and financing of several distilleries. Through his experience as a banker, Taylor became personally acquainted with several prominent whiskey makers. Taylor’s 1869 purchase of a small Leestown distillery that he christened O.F.C. (Old Fashioned Copper) was his foray into distilling, making an immediate mark on the industry by modernizing, expanding and upgrading the plant. Among his innovations were copper fermentation tanks, state-of-the-art grain equipment, columnar stills, modernized buildings, a more efficient sour mash technique and a first-of-its-kind steam heating system still used in the warehouses today.Also a skilled politician, Taylor was instrumental in fighting for higher standards in the bourbon industry, pushing for the passage of the Bottled-in-Bond Act of 1897 along with the Secretary of Treasury, and another whiskey man, Ezra Brooks. As if his involvement in the bourbon industry weren’t enough, Taylor served as mayor of Frankfort for sixteen years.Hancock’s Reserve – Named after Hancock Taylor (not sure if he was related to Edmund H. Taylor, but probably not) and was a surveyor who laid out and surveyed the Leestown, KY area in 1774 and tragically killed by Native Americans in that area shortly after.W. L. Weller – William Larue Weller: A true distilling pioneer, W.L. Weller is credited with being the first distiller to produce Kentucky Straight Bourbon Whiskey using wheat instead of rye in the mash bill. Weller’s original “wheated bourbons” became extremely popular, with a softer, smoother taste. They were so popular, in fact, it’s been said that Weller was forced to put a green thumbprint on his invoices and barrels to ensure that customers were receiving the real deal. Pappy Van Winkle – A man who was true to the craft, Julian P. “Pappy” Van Winkle Sr.’s mantra was “We make fine bourbon at a profit if we can, at a loss if we must, but always fine bourbon.” His name has now become synonymous with quality in the bourbon industry. Pappy’s involvement with bourbon began in 1893 as a traveling salesman for W.L. Weller and Sons. He and a friend, Alex Farnsley, eventually purchased the A. Ph. Stitzel Distillery, which produced bourbon for Weller. The two companies merged to form the Stitzel-Weller Distillery. Opened on Derby Day of 1935, Stitzel-Weller quickly became known for its wheated bourbon recipe, using wheat instead of rye in the mash for a softer, smoother taste. Pappy remained highly involved with the Distillery up until his death in 1965, at the age of 91. Baker’s – Baker Beam: Baker Beam is Carl Beam’s son, and Park Beam’s Grandson, two legendary master distillers at Jim Beam and Heaven Hill. Baker worked at both these distilleries himself, and has his own small batch bourbon in the famous Jim Beam Small Batch Bourbon Collection. Baker is retired and does a few appearances at the Beam distillery throughout the year, but is an avid motorcycle enthusiast and is a fan of high storage for his Baker’s Bourbon. He feels it 7 years is the maximum when you use high storage. Booker’s – Booker Noe – Frederick Booker Noe was born December 5th 1929 and passed away in 2004. He introduced Booker’s Bourbon in 1987 and coined the phrase “small batch” to describe his uncut unfiltered bourbon. Master Distiller for over 40 years, Booker was a a larger than life character. He played football for Bear Bryant at the University of Kentucky. Standing 6’4″ with fingers like sausages, crowds in New York and San Fransicso fell in love with him as he would taste his bourbon and smack his lips loud and journalists called that “the Kentucky Chew” for him. Along with his friends, Elmer T. Lee, Jimmy Russell, and cousin Parker Beam, Booker was one of a handful of legends that propelled the industry in it’s Second Golden Age today. Elmer T. Lee – Kentucky born and bred, Elmer joined the Distillery as a maintenance engineer in 1949 after serving as a Radar Bombardier in World War II and returning to earn an engineering degree at the University of Kentucky. Quickly rising to Plant Engineer, then Plant Superintendent and eventually the shared title of Plant Manager and Master Distiller, Elmer oversaw much of the Distillery’s modernization and growth up until his retirement in 1985. In 1984, Elmer honored the man who was initially so skeptical of him by introducing the world’s first single-barrel bourbon, Blanton’s Single Barrel. Not long thereafter, Elmer himself was honored with his own single-barrel namesake. Both bourbons have been the recipient of the highest worldwide acclaim and honors since. Elmer T. Lee passed away July 2013 at the age of 93. What a long and great life, and he’s no doubt one of the main reasons for the modern Golden Age of bourbon! Rittenhouse Rye – David Rittenhouse, A surveyor for Great Britain…he helped draw the famous line that was the Mason-Dixon Line. He was named as first Director of the U.S. Mint in April of 1792 and actually hand struck the first U.S. coins made from silver donated by George Washington himself! Old Overholt – Abraham Overholt was a farmer and distiller…of course in the Pennsylvania region known as the Monongahela region named for the river, the style of whiskey he made was majority rye and folks in that area’s whiskey became known as Monongahela Rye whiskey, and he first made whiskey around 1810. His son Jacob and his cousin Henry grew the business after that. James E. Pepper – James Pepper is the son of Oscar Pepper who made one of the smartest moves in distilling by hiring Scotsman Dr. James Crow to be his distiller in 1838. That bourbon became the most popular bourbon in the civil war area drank by folks such as Daniel Webster, Andrew Jackson, U.S. Grant, and Henry Clay. James only ran the Old Oscar Pepper Distillery until 1878 when he sold it to James Labrot and James Graham (site of where Woodford Reserve is made today at the Labrot & Graham Distillery). But it was James who is one of the people (if not THE person) responsible for the Old Fashioned Cocktail where around 1889 he walked in to his club in downtown Louisville, The Pendennis Club and ordered a bourbon drink the “Old Fashioned” way. (muddling fruit and using sugar and bitters). The story goes on that when he visited New York he asked for the same drink the way they made if for him in Louisville and the rest if history. Bernheim Original Wheat Whiskey – and I.W. Harper – Bernheim is the gentleman who is linked to these 2 brands. I.W. Stands for Isaac Wolfe, and Bernheim is his last name. He’s the same gentleman who donated the 14,000 acres that is Bernheim Forest right off Hwy 245 on the way to Bardstown. Bernheim had his distillery in downtown Louisville at 17th and Breckenridge and there’s one there still today…DSP KY 1 is the Heaven Hill Bernheim facility, and back in the day because of prejudice, he didn’t want to put his last name on being Jewish…so he put his friends name Harper who owned race horses and had strong political ties, and I.W. Harper was born. Today, Heaven Hill is proud to put Bernheim’s name on it’s Original Wheat Whiskey. After Isaac Wolfe’s first wife passed away, he married her sister (pretty common back is those days) and moved to California. At the age of 96, depressed after an eye injury, he jumped to his death from his 8th floor oceanfront apartment in Santa Monica. Woodford Reserve – Woodford County, Kentucky is named for William Woodford, an American Revolutionary War general from Virginia who died while a prisoner of war in 1780. The county was formed from a part of Fayette County, Virginia in 1788. It was the last of the original nine counties established that formed the Commonwealth of Kentucky in 1792. Jack Daniel – Jasper Newton “Jack” Daniel was born in TN in 1849, and sadly his mother died a year after he was born. His father remarried, but young Jack didn’t get along with his parents so he moved in with neighbors and friends he made a long the way until he was 20 years old and opened the Jack Daniel Distillery in Lynchburg, TN. Because of the confusion and disarray after the Civil War, most distilleries in the South didn’t register their stills with the government…but young Jack did and became known as a “stand-up” distiller and is became known as the Jack Daniel’s Number 1 Distillery. Jack. He was called ‘Little Jack’ because he was 5’2″ tall and weighed 120 pounds. Quite the Tennessee Squire, he always was a clothes horse and went around in a colorful vest, string tie, frock coat, and planters hat. By 1884 his nephew, Lem Motlow became the Jack Daniels plant manager. Jack Daniels Whiskey won a gold medal at the Louisiana Purchase Exhibition in 1904 and shortly after that Jack and Lem acclaim they began shipping it overseas where it won 4 more gold medals and 2 more awards. George Dickel – Born in Darmstadt Germany in 1818, George immigrated to the U.S. in 1844 and ended up settling in Nashville, TN and went in to business as a cobbler. 10 years later he entered the rectifying and bottling business where he bought whiskey from several distilleries and mingled them together and bottled them under another name and selling at his own store (kind of like private labels today). He tended to like the whiskey from the nearby Cascade Distillery and ended up buying that whiskey exclusively. In 1881 George’s brother-in-law, a partner in George A. Dickel & Co., gained controlling interest in the Cascade Distillery, and the distillery gave them sole bottling and distribution rights . They bottled “Cascade Whisky-Mellow As Moonlight”. George was forced in to retirement after a fall from a horse in 1888, and died in 1894. Cascade Tennessee Whiskey actually moved to Louisville, KY after Tennessee voted for statewide Prohibition in 1910, ten years before the nation! It wasn’t until 1964 when whiskey giant Schenley finally put George Dickel’s name on a bottle of whiskey. Wathen’s – Henry Hudson Wathen was known to have been operating a distillery in Lebanon, KY in 1788. The Wathens later acquired the Old Grand Dad label and produced that bourbon for some time. The Medleys were vitally important in the western part of the Bourbon area. At one point, they owned and operated three distilleries all in a row along the western side of Owensboro. Rowan’s Creek – John Rowan, a statesman in Kentucky during the late 1700s and early 1800s, whose mansion is said to have inspired the Stephen Foster song My Old Kentucky Home. Willett Reserve – Shortly after the Civil War, John David Willett began the Willett distilling tradition in Kentucky. He was Master Distiller at, and one-third owner of, the Moore, Willett and Frenke Distillery, located in Bardstown. In her book, Historic Nelson County, Sarah B. Smith states that, “failing eyesight caused John David Willett to sell his interest in the distillery to his brothers-in-law, Ben F. Mattingly and Tom Moore, yet his knowledge and skill was such that he shrugged off the handicap and went on to serve as Master Distiller for five plants; three in the Bardstown area and two in Louisville.” John David developed mash bills that were later used by the Willett Distilling Company in some of their whiskies, and now in the recipes at Kentucky Bourbon Distillers. See also Mattingly and Moore. Jefferson’s Reserve – Thomas Jefferson – Do I really need to go in detail here? Here’s a few hints; founding father, wrote the Declaration of Independence, hired Lewis & Clark, Louisiana Purchase, founder of the University of Virginia, inventor, architect, slave owner, and unbelievably after all that…he died broke. Johnnie Walker – John owned a grocer shop in Ayshire, Scotland who started to sell his selection of single malt whiskeys in his store. Prior to 1860 it was illegal in Scotland to blend whiskeys. His whiskey became quite popular to his customers, but it wasn’t til after his death in 1857 when his son and grandson really made it a true “brand”. First in 1867 with Old Highland Whisky, and eventually the Johnnie Walker brand with distinctively different red and black labels with different blends. Dewer’s – John Dewer created his own whisky in 1846. After his death his sons Thomas and John took over management and grew the business. Mattingly and Moore also Tom Moore – It all starts late in the 1800′s when two gentlemen – Tom Moore and Ben Mattingly fell in love with the Willett sisters. For those of you unfamiliar with the Willett’s, they have been one of the premier families in Kentucky bourbon distilling from the early days to the present. Both Tom and Ben married their sweethearts, and years later, their father-in-law signed over ownership of the Willett & Frenke distillery to them. I’m not really sure what happened to Frenke, but Tom and Ben rechristened their operation Mattingly & Moore. One of the first products out of the Mattingly & Moore distillery was Belle Of Nelson Bourbon Whiskey. Old Pogue – 1876, Henry Edgar Pogue (H.E. Pogue I) purchased the Old Time Distillery from O.H.P Thomas. H.E. Pogue was the head distiller for O.H.P Thomas at the time of the acquisition and produced “Old Time” Sour Mash and “Old Maysville Club” Rye. The distillery became Kentucky Registered Distillery No.3, located in the 7th District within the Maysville, Mason County, Kentucky city limits. According to some records, the H.E. Pogue Distillery’s original brand was “Old Pogue” Kentucky Straight Bourbon Whisky. That’s awesome. He’s a pretty important figure not only in whiskey, but in the history and shaping of Louisville, KY. We have opened the Evan Williams Bourbon Experience in downtown Louisville that you should visit. It would be awesome to see his letters…I love it when you can bring history to life with actual letters from someone. Sure Larry…because it’s Bottled in Bond, it should list the D.S.P. number on the label somewhere. Perhaps you see a Distilled by line, and then D.S.P. KY-230? My guess is that it was made in Clermont, KY at the Beam plant since that was once one of their labels. If so that’s a cool old brand, and it was very popular at the time. This was before they started the Jim Beam Brand, so it’s a cool part of their history. Unless it states an age, it’s probably 4 years old, and 100 proof, bottled in bond. the birth date for Jack Daniel is incorrect. Wrong century. correction. Right century. He was born 1911. It says 1947 above. I looked it up and it’s 1849. So I changed it…thanks! I have been looking for information of J. W. Stafford Whiskey. Iknow it was popular at one time as I have a big mirrow thar states the name. Do you have any information about or do ypu have a source who might know? sometimes during the 20’s to 50’s era. All I can see from a past collectible mirror is that it was a Maryland Rye Whiskey. Most of those brands did not come back after Prohibition. Our Pikesville Rye is an old Maryland Rye brand. There doesn’t seem to be much out there about it. There were many of these Rye’s out of Maryland. Good luck on your search. Keep me posted if you find out anything.